Amar Wazuz ran over a soldier after a chase in which he rammed a police vehicle. Charges were filed Sunday against an Arab man from Hevron who ran over a soldier on July 19, after a police chase. 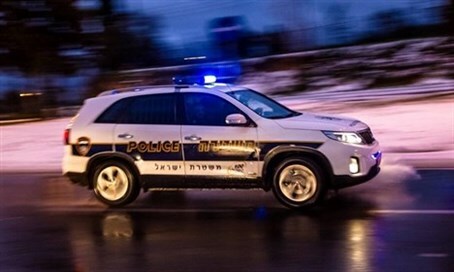 According to the charge sheet, a soldier and policeman were carrying out traffic enforcement activities on Highway 60, near Kiryat Arba, when they spotted a suspicious vehicle being driven by the defendant, Amar Abd Elmagid Amer Wazuz, aged 42. After another police car arrived to reinforce the two men, they drove after the Arab and blocked him by overtaking him from both sides simultaneously. However, when the soldier and policeman got out of their car, the defendant managed to drive off again. They got back into their car and chased him. Elmagid drove in the lane intended for oncoming traffic, thus endangering his surroundings. When the police force caught up to him and blocked his path, he crashed into the police car. The soldier got out of the car and once again, the defendant started driving, striking the soldier and escaping. The soldier was injured and required hospitalization. Elmagid is charged with attacking a soldier under aggravated circumstances and endangering life on a thoroughfare.